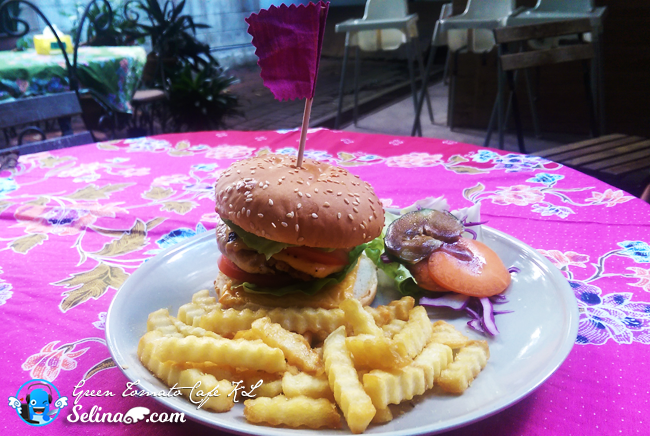 The Green Tomato Cafe is great lovely cafe, have a simple interior and outdoor garden as you will enjoy a very fresh air when you relax under the shade of trees. They also serve customers with the delicious western food, you can grab your breakfast, brunch, lunch or dinner time, please remember to come early before this cafe closed at 8pm. They will give the choices to you to drink coffee, tea or healthy detox drink! They also have amazing desserts, especially the Oreo Cheese Cake so delicious! 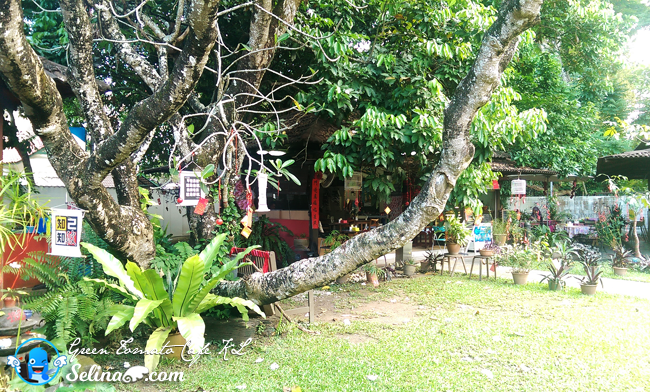 Take a peek inside this garden style cafe as you free to explore on your own! 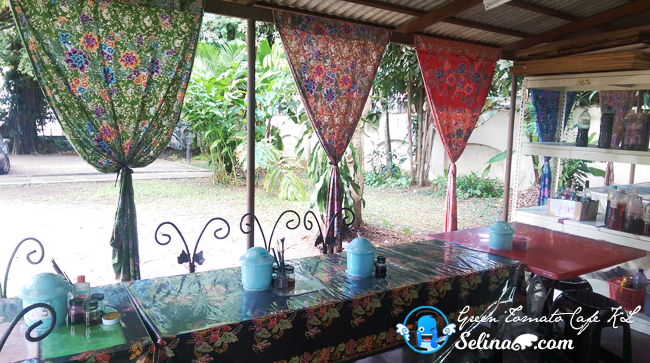 It is very good idea to combine the beautiful garden, cafe and batik workshop into a natural and colorful batik village! My friends and I enjoyed to walk around the beautiful garden! 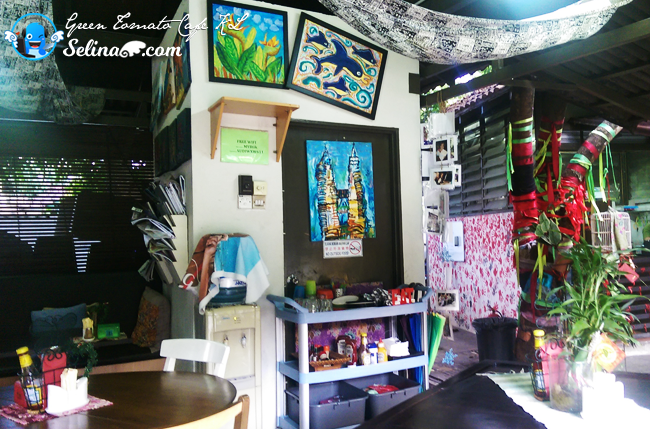 We found out that this cafe is hidden in the deep place, after we passed the "MyBatik" workshop at first. Mrs Emilia happy to meet us there. 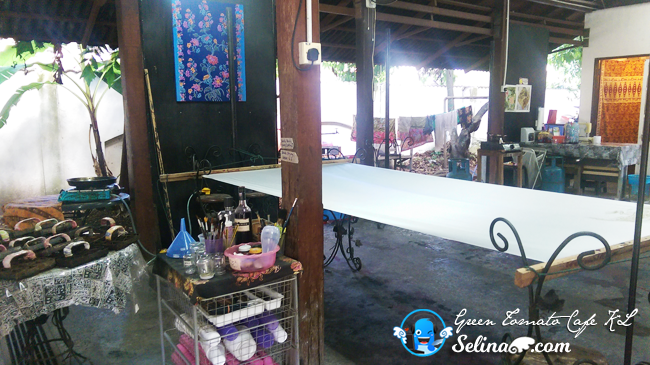 Her staffs are friendly, then she guided us to visit around her workshop until at end, we sat down beside the cafe only. We are hungryy and cannot wait to eat their top of favorites food! 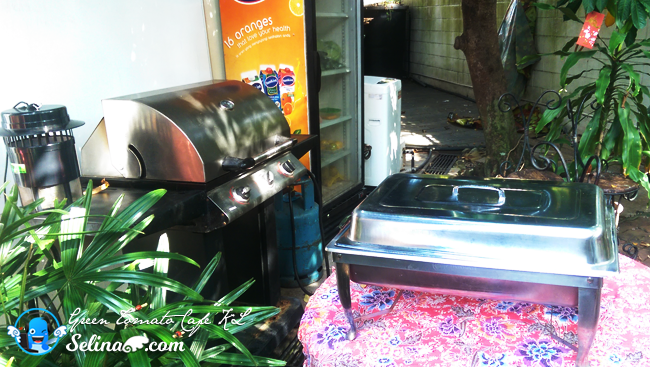 This is the grilled BBQ, they will prepare their favorite of grilled chicken for us! Wow. 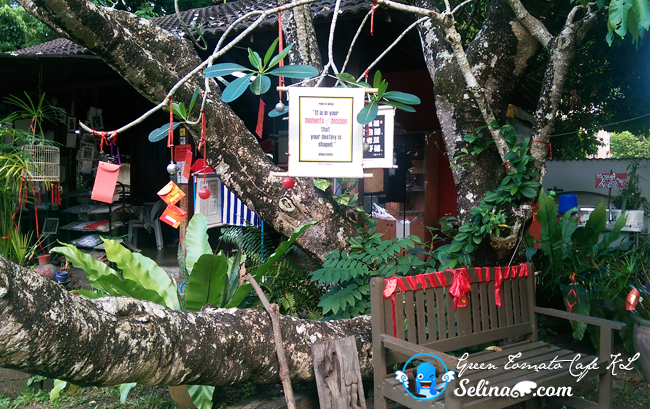 I felt that this environment was quiet and relaxed, but we keep to sit under a big umbrella and tree, so we won't feel hot. Don't worry, you sure will have a lovely time to chat-chit each other. 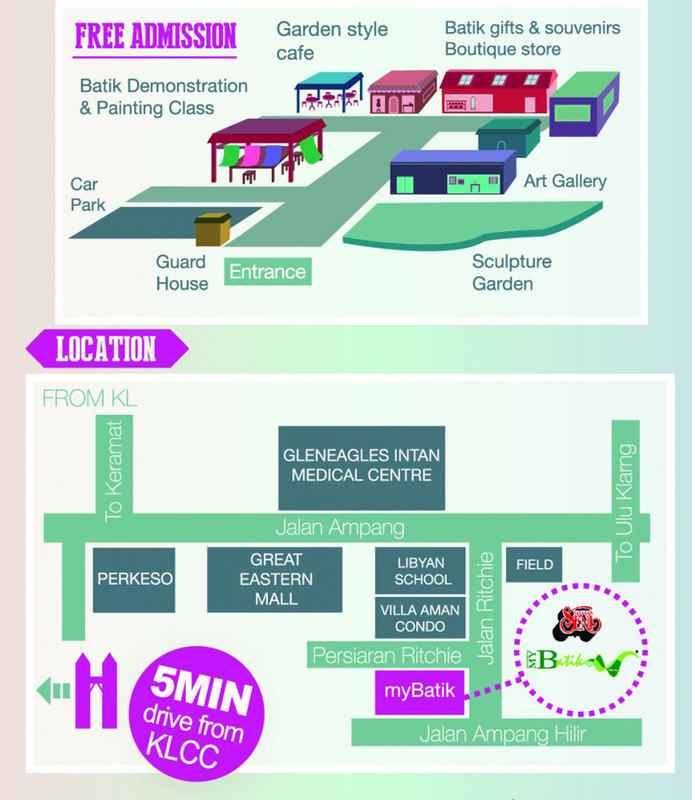 Or your family bring your kids to enjoy to play around the playground at the garden! 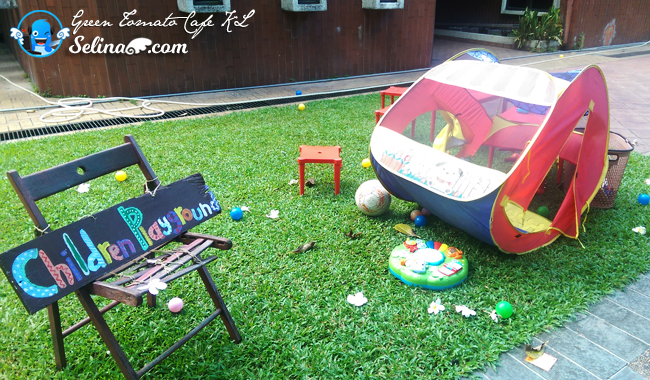 The kids can play to climb up on the trees or sit on the grass to play the toys! I saw few kids are cute, especially Mrs Emilia's daughter is very beautiful! She is shy and likes to shake hand with us. 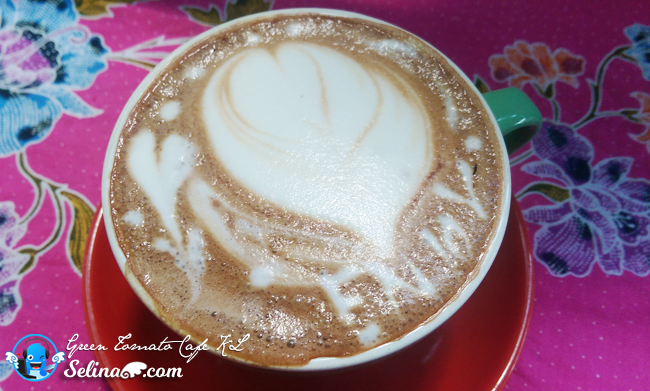 First, they gave a very good beginning "Enjoy" Mocha coffee to us, so great. 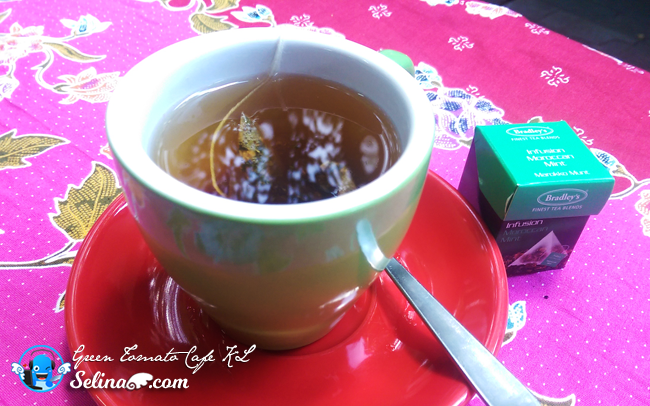 Healthy Moroccan Mint Tea - my best friend, Aida love it so much! 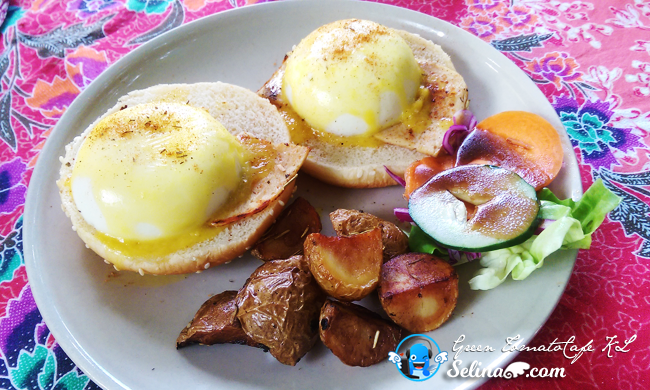 The poached eggs are very delicious when it topped on the chicken ham, with the hollandaise sauce. So yummy! This is very BEST breakfast which I’ve ever had! Oops, the sausages are grilled, so dont worry you can remove the black from it if you don't like. 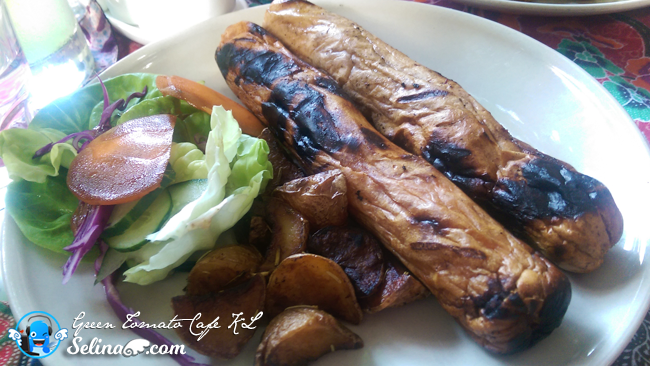 The grilled potatoes are okay. They need to improve their skill to grill BBQ always, ya. 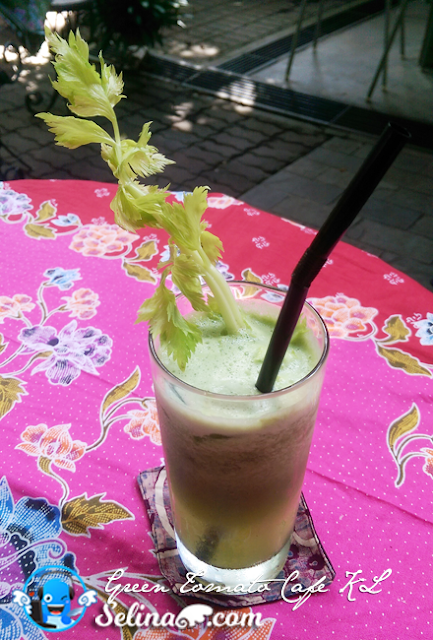 Healthy Green Detox Juice looks as natural and fresh fruit drink! This place is perfect the best breakfast and lunch time option for the tourists, visitors, and office workers. 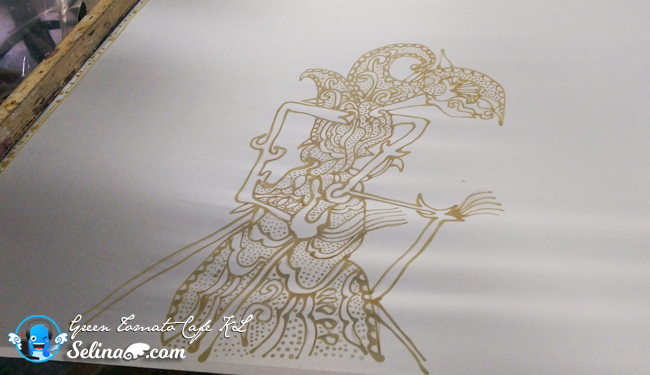 I felt that many families with kids come at this time because the kids love to draw batik. 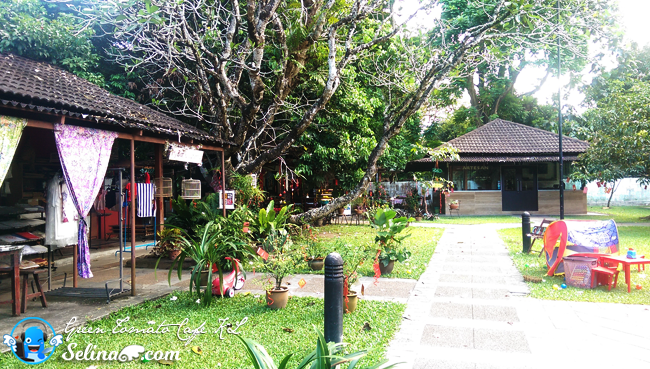 And the visitors came to this cafe so they can forget their stress when they enjoyed their coffee or eat desserts in the afternoon or evening. 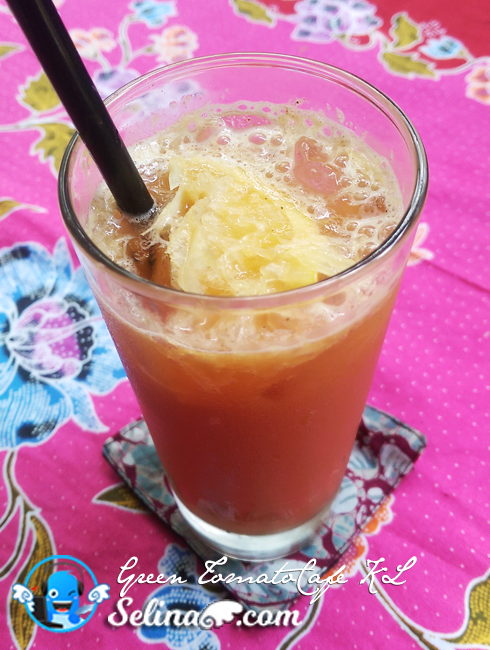 I shocked when I learned that it is detox juice drink! Long time, I don't taste it. I felt that it is sour but, this is really mixed fruits! This detox juice help to cleansing your body of toxins and the vitamins and minerals are more easily absorbed on an empty stomach. It’s a great idea to do a regular cleansing of the body instead of simply bombarding it with processed foods and letting toxins accumulate. It no need alot of sugars. I enjoyed to drink my healthy detox orange and lemon juice. 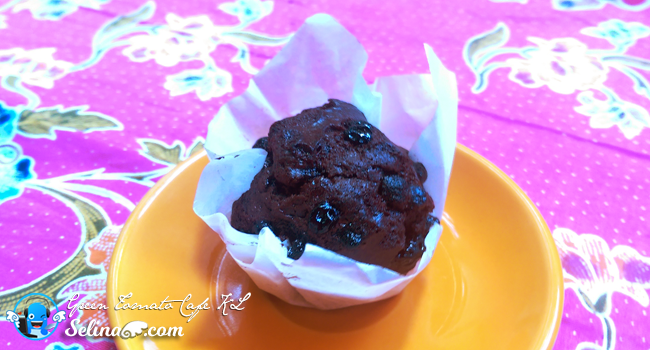 Chocolate Muffin is very dry and hard to cut...But, it is nice handmade muffin so delicious. 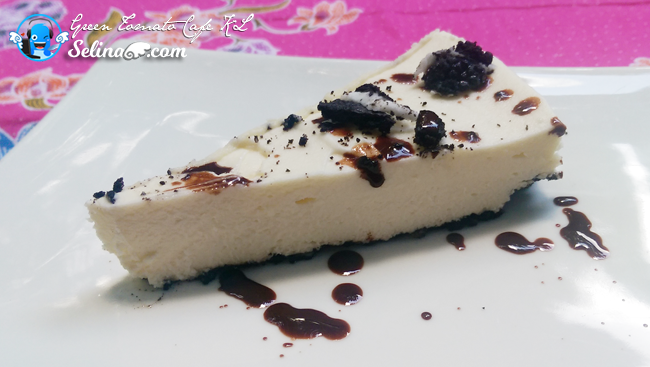 Highly recommend the Oreo Cheese Cake, because it become my best dessert! Not bad! This slice looks nice and neat! I bite cheesecake with the dip chocolate is very soft! 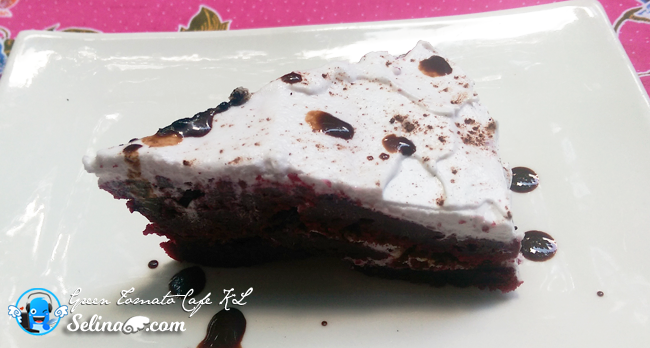 The Red Velvet Cake is delicious too! They did a good job to bake this! 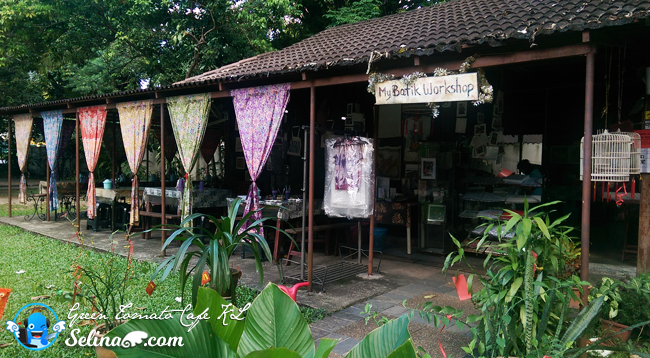 You can see the "batik" fabrics and painting are everywhere around you when you walk along the garden. 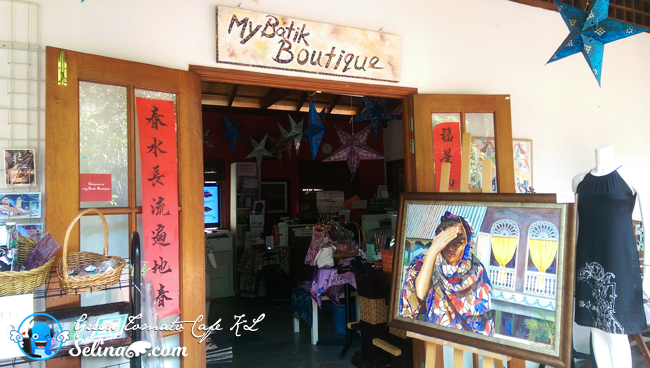 It make us feel comfortable and like to take many photos about the art of batik so enjoyable until we forget to visit the "MyBatik" Boutique, never mind. 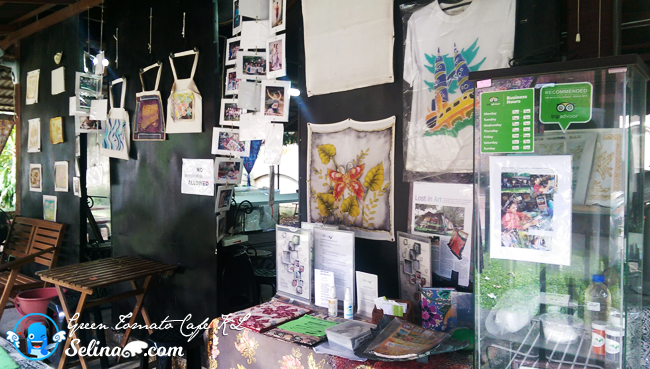 When you are free, you can buy the gifts for your friends and family when you go to this boutique. Their service was understanding and friendly. They tried to understand the simple sign language because they experienced to serve the disability kids and teenagers came to learn to draw the batik in their workshop. 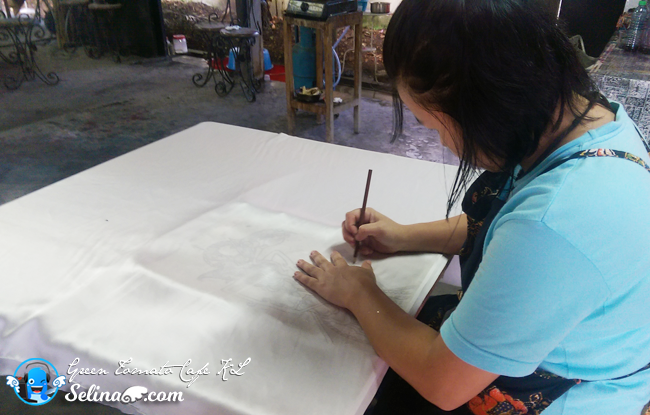 They told me about Lim Anuar, who is a Deaf artist to work with them before he started to focus on his master degree. 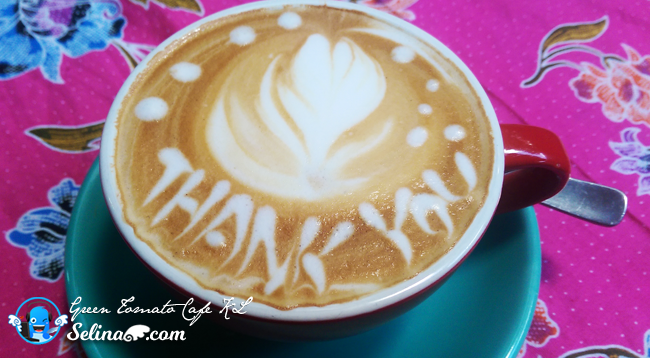 Thank you, Mrs Emilia and Green Tomato Cafe for bring us to enjoy our time together! 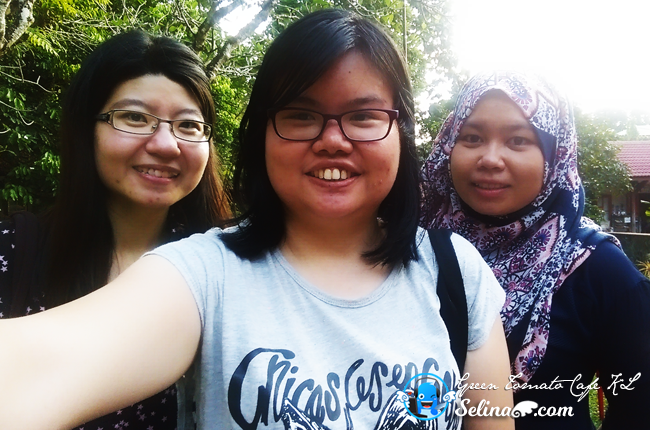 We're happy to chat each other during a warm weather since long time we don't meet up, due our busy jobs! 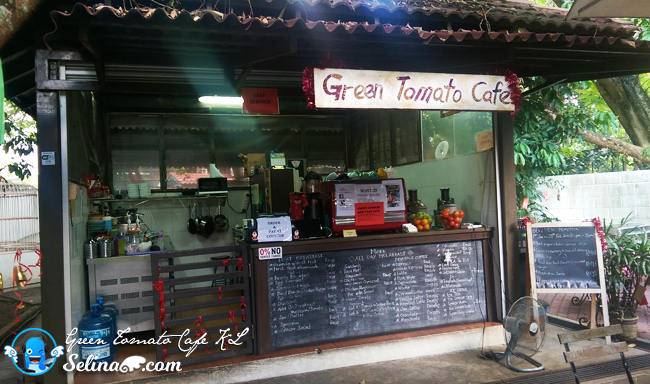 Before you look for it, I suggest you to use an app, Waze to search “Green Tomato Cafe”with your smartphone because it is very hidden cafe in the quiet area. It make us also drive circle around this place again. Luckily, we noticed that there are a small sign of "Green Tomato Cafe" at a gate of building then you free to park in the car park. No worries, they never charge you to pay the parking fee, it is just FREE parking! I always be thankful to my best friend, Aida who become my driver to travel with us in Kuala Lumpur! Haha. the cake looks really moist, but the sausage is kinda a turnoff. hahah nevertheless this place seems good for brunch! Nice cafe. Wish to visit there someday in near future. 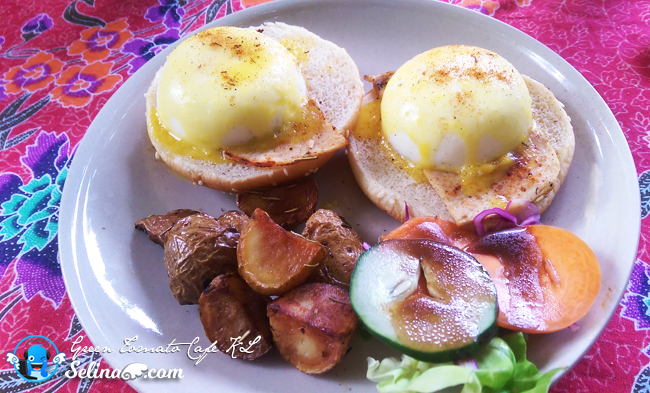 Wow the egg benedict looks yummy. will go there for brunch one day. 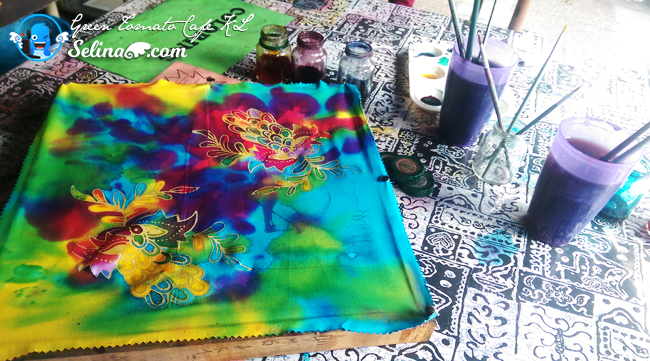 I love the green tomato cafe and also the batik making place. Its so peaceful and homely. 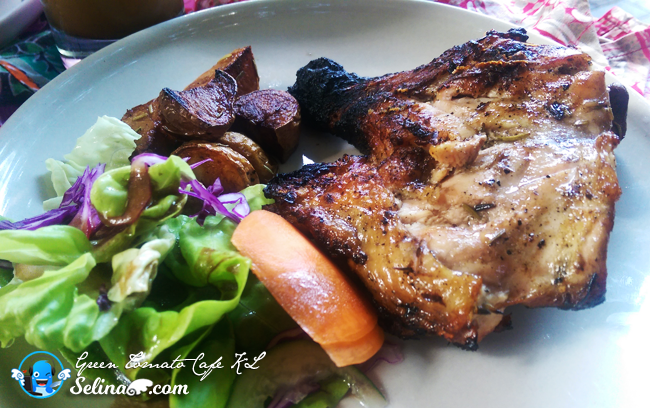 like the grilled chicken chop. and what an interesting cafe name..